This rare 2 story single family home is now available in neighborhood of Alcala! The beautiful house has 4 bedrooms and 3 bathrooms and features a recently remodeled open floor plan. Two master suites on the first floor, each with their own private bathroom and private entrance from side of the house. An additional 2 bedrooms and one bath are located on the 2nd floor. The large living room contains a fireplace and new skylights are installed in the kitchen and dining room. Brand new bamboo and refinishedThis rare 2 story single family home is now available in neighborhood of Alcala! The beautiful house has 4 bedrooms and 3 bathrooms and features a recently remodeled open floor plan. Two master suites on the first floor, each with their own private bathroom and private entrance from side of the house. An additional 2 bedrooms and one bath are located on the 2nd floor. The large living room contains a fireplace and new skylights are installed in the kitchen and dining room. Brand new bamboo and refinished oak hardwood floors are installed throughout the house and new tiles in the bathrooms. A newly constructed deck is on the 2nd floor overlooking the beautiful University of San Diego, Tecolote Canyons and La Jolla hills. The entire house receives a lot of natural sunlight. There is also a large two car garage, with additional parking available on the street. 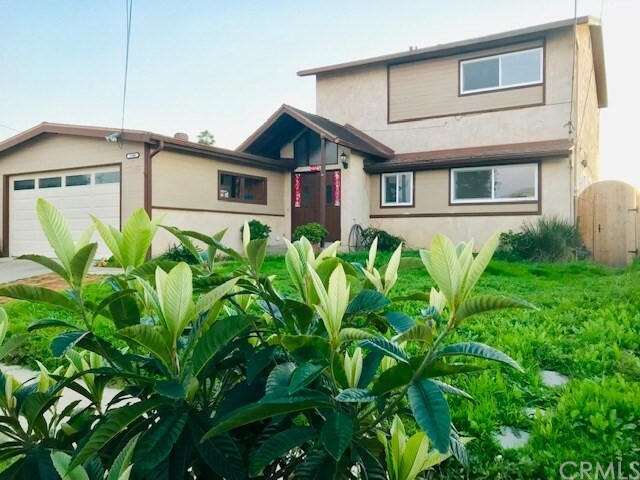 This centrally located house is 1 block from the prestigious University of San Diego, and walking distance to Francis Parker and Mark Twain high school. 2 to 3 blocks away and you can find supermarkets, pharmacies, gas stations, banks and restaurants. Come see this home before it's SOLD!